xat would like to announce it's NEW HTML5 interface design to the community. Here's what the features of this new interface brings. For starts, a new widget menu. The widget menu for the groups tab will show, Promoted Groups, featured chats, popular chats, supported chats, game chats, the search option and quick access to Help and/or Trade. The widget menu for the stores tab will show, buy xats & days, powers, short name, auctions, xavis, promotion, ads and groups. The widget menu for the xat tab will show, wiki, community, ticket, twitter, Facebook, privacy, terms of service and safety. The widget menu for the group tab will show, embed and inappropriate. It will also show which account you're logged into, your xat.me profile, user settings and the logout button. Flash app are working with HTML5. Trade app is glitched and we already know about all the possible bugs. For now, applications will stay in flash. Later they will be converted into HTML5. The only HTML5 application is Chess. The user tabs menu was also updated in this which is very simple and user-friendly. Very simple and sleek to the users eyes. It's not so clustered as before and it's very easy to use. Go to the corresponding chat you want and then add ?new2 at the end of the chat link. For example: http://xat.com/xat_test?new2 would take you to xat's new interface and HTML5's latest chat version. Outer backgrounds not currently working. This is always updating so be sure to check out what new features are added since xat's always making updates to this. If you want to report any bugs, then feel free to report them on the Bug Tracker area and the moderators of the Bug Tracker team will look at it. Happy to see those new features and a clean view of newest version of xat!. Congratulate to the admins ! Nice job it's very nice. I like it, really it is great to see that someone is following my suggestion and changing this old ugly style. And layout is a bit broken(not fully responsible) later I will fix it. Trade app is glitched and we already know about all the possible bugs. For now, applications will stay in flash. Later they will be converted into HTML5. Yes it's full HTML/Image ..
What do you mean ? Can you give more information about? It's great to see the results of admins' efforts in the development of the HTML5 chat! Greatest xat update of all time. Flash﻿﻿ app are working with HTML5. I hope trade work for html in mobile too. Html5 works 100% in mobile, when trade/apps be finished, you will be able to use them in any device. Trade app is glitched and we already know ﻿about all the possible bugs. Just a small reminder: the web page is still in beta so we may change the page in the future with better improvements! Ideas and improvements are appreciated and will help to make it better. Where's youtube on the apps? Firstly, I must congratulate the administrators and all of the people contributing to the updates that we are seeing. I understand that it's not easy to build these things. Switching to HTML5 shows a commitment that is necessary to maintaining this website, so it's easy to see that this website is not being abandoned. This post is a response to @SLOom. I have decided to post in this topic since it is relevant to this topic, and to avoid making the other topic go off-topic. When most people communicate, they are not speaking in literal terms. I did not mean, nor would it be reasonable to assume, that the redesign is exactly the same as the old design. Of course it's not. But how is a dropdown menu surprising? Am I supposed to say thanks for a dropdown menu that we should have had nearly a decade ago? It doesn't matter if it's in beta or if more features will be added. The general design of the chat box and its related features still hold the general design of 12 years ago. I did not mean that we should have used Bootstrap 4 specifically years ago. Why would you assume that I meant that? That doesn't make sense. Additionally, you said this to Arthur: "It will never become harder to browse flash chat. Chrome is smart enough to add settings in their browser to still allow flash as well." Flash Disabled by Default (Target: Chrome 76+ - July 2019). Flash Support Removed from Chromium (Target: Chrome 87+ - Dec 2020). 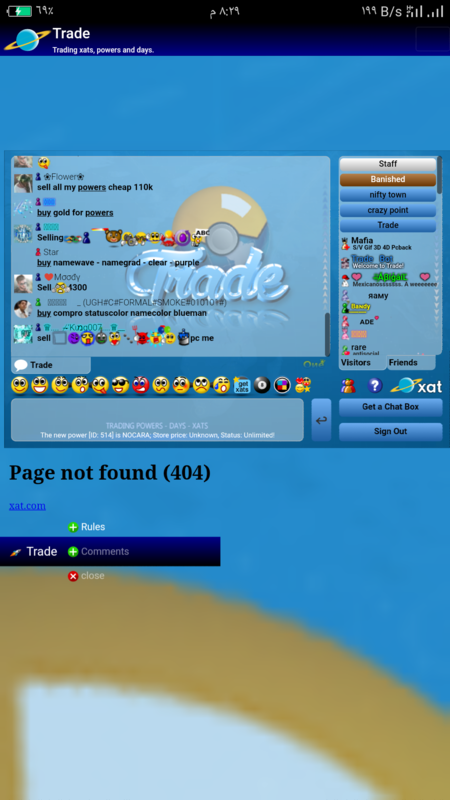 We should keep in mind that xat may want to preserve its overall user interface, whether it's the chat or the new web. I'm sure they could've created a Discord 2.0, but that wouldn't be xat anymore, would it? While the new web looks like it doesn't bring many changes, it actually does and I'm not sure why new features wouldn't matter. I'm quite excited about them. So let's take a look, what actually seems to be different? We now see groups which are currently promoted. I think that's pretty cool for people who often promote their groups. There's a quick access to featured, popular, supported groups, as well as groups with games. We now have a linking to the xat facebook page. It's more obvious what options you have for the group you're at (embed, inapp, maybe more in future?). There's now a login button, a logout button. There's account information (perhaps we'd see more information in future, such as if your account is held). It appears we'll be able to edit Settings soon, which is a good step in the right direction to get rid of the macros-mentality. The bottom navigation is more dynamic, I like the fact that it doesn't reload the page anymore, when you switch tabs. Overall the design is more elegant and modern. I think Admins did a pretty good job, and I think it makes sense to introduce this now, as xat is slowly getting rid of flash, switching over to HTML5 entirely soon. Each site has its own interface. It's not because people likes more the discord interface that xat has to do the same than them. So yeah, if it was about to be changed, it wouldn't be xat anymore. We had already a fast thread about that but for the chat interface and all the points were put on the table. 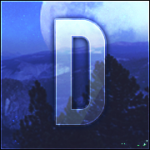 If you don't like it, then suggest improvements/ideas? It's easy to criticize the work but not suggesting ideas to improve it. If you come here, it's to suggest ideas and improvements to make it better and not belittle the work of the admins. I can understand that you don't like much xat but it's not a reason to be so negative like that about. Users feedbacks and ideas are always appreciated but un-constructives comments will not help to make it better. Pretty sure if it was your work, you would understand my point and you would rather see ideas/improvements than old critics like "it looks like the design of 12 years ago." I really hope, you understand what I want to say and not turn my comment into something I didn't imagine. Anyways Lafleur said everything about your previous points. Oh well, we still have the time to build HTML5 before the end of Flash. Why are you so preventive? HTML5 chat is in development (enough to use it), most of the xat things in flash will be HTML5 soon. We are not so late compared to the planned date for the end of Flash. You mentioned the smileys application but we have a better thing for that added somewhere in the lab. This app will be eventually removed since it's a really awful app with lags and missing smileys. Forgotten in the grey hole. Thank you for noticing it. Do you mean it should open the page in another tab instead of the current one? Possible! or is it already possible? If you are talking about the pools, they will be like flash in the future. Don't worry about.